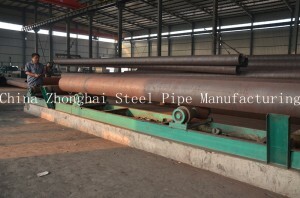 Common sizes for Q235B ERW Steel Pipe range from 2 3/8 inch OD to 24 inch OD in a variety of lengths to over 100 feet.Surface finishes are available in bare and coated formats and processing can be handled on site to customer specifications. Electric Resistance Welded steel pipe is available in new Prime and Secondary grades as well as used and surplus (availability depending on current stock). 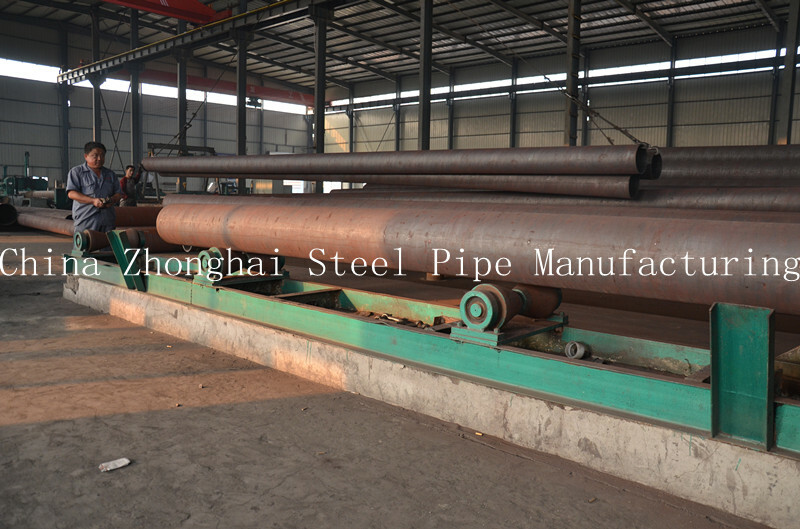 Q235B ERW Steel Pipe Normal Test Requirements:Tensile Requirement,Bending Requirement,Flattening Test,Hydrostatic Test,Nondestructive Electric Test.Ultrasonic and Electromagnetic inspection,Eddy current examination, Flux leakage examination. Test Machines:Tensile Testing Machine,Spectrograph analysis,Ultrasonic Inspection Machine,Magnetic powder inspection machine,Rockwell apparatus, Brinell Hardness Tester etc.